Blog post by Sophie Lutter. Over the last month, our Policy and Campaigns team and dedicated supporter campaigners have been travelling the length and breadth of the country to attend the three main UK political party conferences. This year, our campaigning was focused around our five inequalities: five solutions report that we launched in Westminster and Holyrood in the summer. The report highlights the inequalities that men with and at risk of prostate cancer face and underpins our Men United v Prostate Cancer campaign. We’ve already recorded some notable successes since publishing this report. 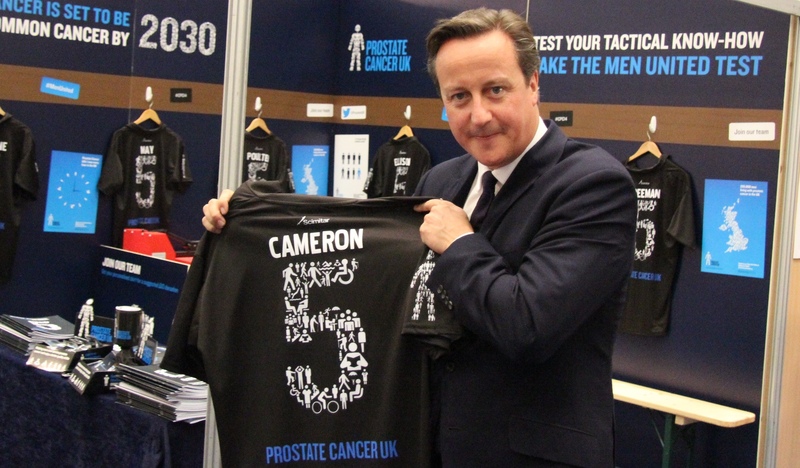 For example, the Westminster Government launched a new pilot strand of the Be Clear on Cancer awareness campaign in London, particularly aimed at raising awareness of prostate cancer risk in Black men, while the Scottish Government announced that robot assisted prostatectomy would be made available on the NHS in Scotland, with the first patients set to benefit early next year. While these early successes are extremely encouraging, this isn’t the end of the story, which is why we need to attend events like the party conferences. They’re a key part of our influencing activity – a chance to meet with politicians, people planning to stand for election next year (prospective parliamentary candidates) and members of the House of Lords. It's an opportunity to raise the profile of prostate cancer at the highest level and highlight the inequalities men with and at risk of prostate cancer are still facing. 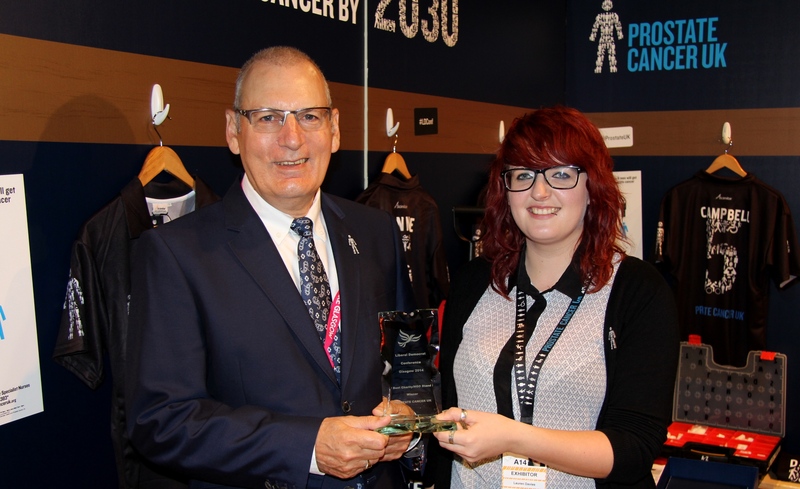 The relationships we build with politicians at party conferences are vital in achieving our goal of improving care and support for men with prostate cancer. One thing that definitely struck me was how important it was to have our volunteers with us. I was at the Liberal Democrat conference with volunteers Terry Potter and Rod Wiltshire, who did a fantastic job getting the politicians onside. And Susan Childs, Roger Hones, Jon Newman and Robin Porter were also brilliant at the Labour and Conservative party conferences. The very down-to-earth, personal way that they told politicians their stories and gave their perspective as someone living with or directly affected by prostate cancer really added colour and strength to our message. And I have to say that watching Terry turn the charm on Nick Clegg, and exchanging some man-to-man banter as he signed for Men United really made my day! We took a stand kitted out like the Men United locker room to each conference and handed out personalized Men United shirts for a suggested donation to MPs and other politicians who signed for the team. The stand was really eye-catching and helped gain us a lot of attention and support – we even won awards for it at both the Labour and Liberal Democrat party conferences!